Has Santa always been controversial? When I was a kid I didn't know anyone whose family didn't include Santa as part of their December celebrations. Well, other than my Jewish friends but they got presents for eight days straight which always made us just a little bit envious. My own parents didn't go overboard. I mean my dad never donned a red suit or climbed out on the roof to ring sleigh bells but he did love the excitement of Christmas morning. And my mother stayed up til ridunculous hours getting our stockings filled and making sure everything would be just so when her family descended the stairs at o'dark thirty. I think most mothers would agree that Santa would be nothing were it not for Mrs. Claus. In recent years it seems there is much discussion about the influence of Santa...the commercial side of Christmas has definitely been amped up a hundred fold since I was a kid. I do know that as a child I never confused Santa with Jesus. We heard the real Christmas story at Christmas time (and throughout the year) and were taught the importance and real meaning of the day. Santa Claus was something else and we understood this. We knew we'd go to church at Christmas time. We went to church every Sunday and Christmas would be no exception. Besides I loved church, especially in December. As an adult the Christmas Eve service has become my favorite part of the holiday. Even so, the excitement that built as Christmas day rolled around, that sense of anticipation my siblings and I felt, is something I will never forget. I remember going to bed on Christmas Eve feeling like my heart might burst. It was full. I felt a special measure of love on Christmas Eve for the sister with whom I shared a room. Oh we may have argued on other days but never ever on Christmas Eve. We were giddy with excitement and whispered across the space between our twin beds long after the lights went out. We'd tell each other that the sooner we went to sleep the sooner it would be morning. And somehow, in spite of ourselves, we would sleep. I remember waking while it was still dark. My older sister would come into our room and the three of us would creep not so quietly into our brother's room to wait for the street lights to go out. It felt like hours and it may have been. We weren't allowed to wake our parents if the street lights were still on. My mother took such care in wrapping our gifts and she still ties beautiful bows. We each had our special places in the living room and knew right where to look for our stockings which were, and still are, our favorite part of the day. Once those were finished we'd have a big breakfast before opening other gifts. The morning seemed to stretch on forever. 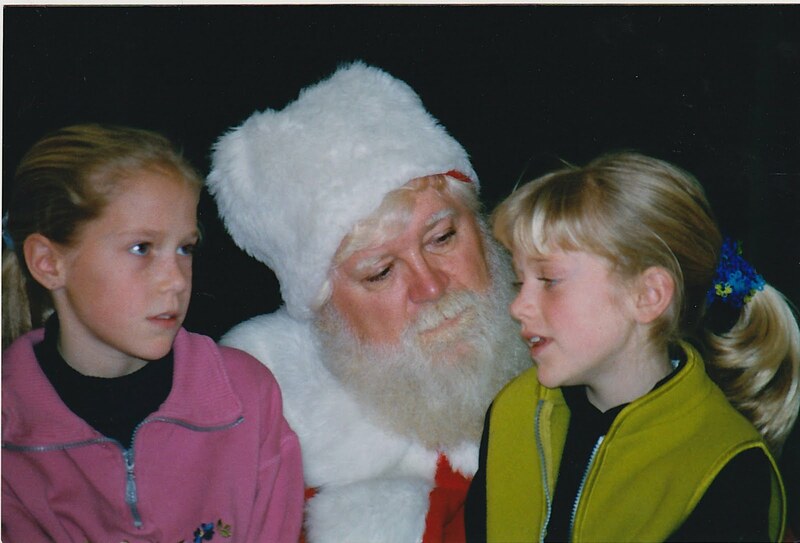 I don't remember my parents using Santa as a means of keeping us in line. He was more the jolly character who came quietly in the night and left happy childhood memories in his wake. 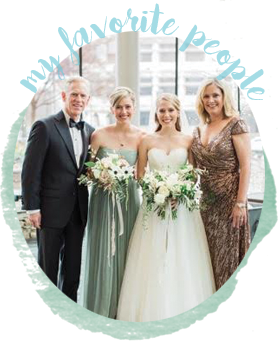 While there are one or two gifts that stand out, the thing that bubbles to the surface of my heart when Christmas comes round is the sense of belonging to a family who loved me unconditionally. I'm fairly certain a metaphor could be inserted here. We've carried on similar traditions with our own girls at Christmas. One year hubs had taken the girls to the mall for some last minute shopping. 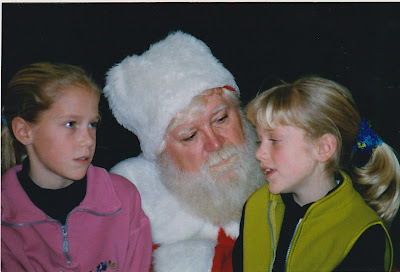 We knew Daughter1 no longer believed in Santa (these thoughts are never said aloud) but Daughter2 had nary a doubt. A reporter from the local newspaper was there and he stopped them for an interview. He asked Daughter2, 'How does Santa get all those presents down your chimney and into your house?" Hubs could not believe his ears. 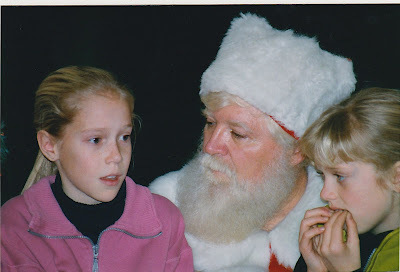 Was this reporter going to ruin Santa for Daughter2 just days before Christmas? She was considering his question for a moment when out of nowhere Daughter1 piped up and said, 'Well, he climbs up on the rooftop and....and...he just does...it's really kind of magical." Problem solved. By a ten year old. I found a few pictures from that long ago December day. I'm linking them for today's photo challenge since the prompt is 'Santa Claus'. Daughter2 needed to talk to Santa and Daughter1 went along with it in the name of sisterhood and make believe. Daughter1 is perfecting that thing tweens do with their eyes that parents dislike. She is sitting quietly but inside she is shouting-Do NOT take my picture with Santa! I'm too grown up for this. I love this Santa...he takes his job seriously. And I love these big little girls, who at ages 8 and 10, loved Christmas and Santa and each other. They had imaginations as big as the sky and it was there they tucked Santa once Christmas Day had passed. These big little girls loved Jesus too. Still do. He lives not in their imaginations, but deep in their hearts...on Christmas and everyday after. Such beautiful pictures of your girls with Santa. Thanks for sharing the memories, loved the story. What a sweet picture of Daughter2 with her fingers in her mouth! You can tell that she's concentrating hard on her list, trying not to forget anything! Sweet, sweet pictures of your daughters ... you can tell that Santa is a good one! Wonderful post Joyce and that's exactly the way it was around my house growing up. Santa was so much fun but had his proper place and added to the fun of the season. Happy weekend! We always hung stockings on Christmas eve. But then my mom gathered us around the tree and read the nativity story from Luke. We went to bed with a sense of awe, that this was Jesus birthday. Such wonderful memories....love the pictures!! Thank you, Joyce - I've been having this debate with one of my girlfriends who told me that by allowing my youngest to believe in Santa, that I'm promoting a lie and taking the focus off of Christ. I disagree - part of any childhood should be the wonder and majesty of magic, and we tell our children that the idea of Santa leaving gifts in secret is exciting, but not more so than God sending His only Son down in the form of a baby, angels heralding His birth, shepards and wise men traveling just to see Him... the wonder and majesty! I know that my youngest will not always believe in Santa - that's obviously ok - but how awesome that the miracle of Jesus will always and forever e in his heart! How sweet!!! It's a beautiful memory. Lovely Lovely Girls!!! Why is this post making me teary? 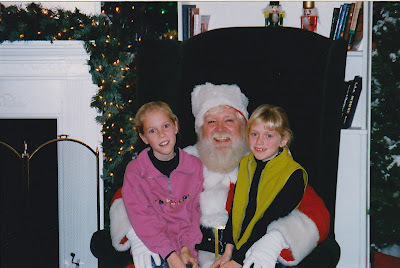 Rich and I were sure we were not going to do Santa with our kids - until we had them. The magic and the mystery were too irresistible. :) And yes - managed well, kids DO know the difference between Santa and Jesus. I can just picture you and your sister in your twin beds, almost too eager to sleep. 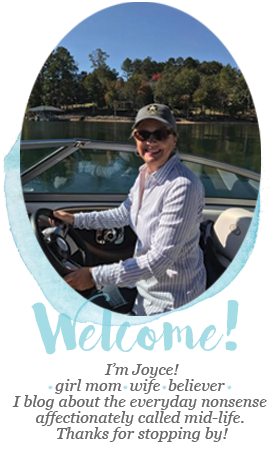 How DID we fall asleep--adrenaline overload? I wrote a similar post this morning. Your daughters look so cute in those photos! Don't you cherish the memories? the wonder of Christmas turns to THE WONDER of Christmas after their grown and truly understand what that little baby did and is still doing for us...b/c He loved us first. I love that first picture of your girls with Santa! Those eyes said it all :) I couldn't help but notice that Daughter1 favored your husband, while Daughter2 looked like you. I agree, the Santa thing has gotten sort of crazy these days--right along with everything else. Sweet memories and sweet pictures! So we're the same age... I did not grow up with Santa. Neither did my hubby. My parents never said much about Santa other than he was just a man dressed up. We didn't do Santa with our kids either. ( I always said I wanted the credit for the presents. :)) Once our daughter asked to see him when we were at the mall, so they did. She wouldn't tell me what she said to him. :) I'll be interested to see what they do with their kids someday. Although I have few to no memories of myself as a child at Christmas until I was a tween. I do remember going to my grandmother's house and having so much food it was impossible to eat even a taste of all of it. At some point after dinner a bell would ring and magically all our presents would show up as we played. Then we would open them with all the family. By family I mean mom, dad, sisters, aunt, uncle, cousins, nana and pap. My husband's grandfather was Santa for the neighborhood all the while he grew up. But yes no confusion Santa was Santa and Jesus was Jesus. Very well said Joyce. I don't remember Santa being a big deal controversy like it is now either. We also always had both side so the fence. We knew the real meaning and Santa was just another fun aspect of the season. I am a pastor's daughter so growing up our family never talked about Santa at Christmas. My parents never told us about him and so I never "believed". I don't think I missed out. The wonder of Christmas was all about the baby Jesus coming into the world. Presents under the tree were from family and friends who loved me. It was an issue my hubby & I discussed when we first had our daughters. We decided to have some gifts under the tree from Santa, and some from us. I like to think Santa is really St. Nicholas... a man who gave gifts to children to make them happy. Enjoyable post Joyce. I feel the same way. I never had Santa mixed up with Jesus. Also I know one fact that is still going on in our home, it would not be Christmas without Mrs. Claus! Love the pictures of the girls. I loved this post! Brought back a lot of memories from my Christmases past too! Sisters are special!